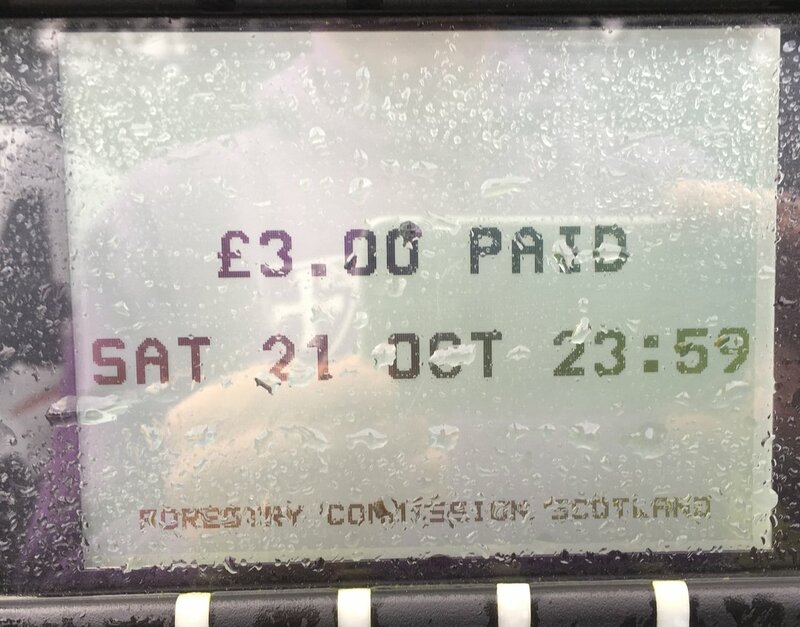 I looked at the ticket machine and realised that, strictly speaking, I might be overstaying my allotted time. But if anyone was going to be checking the tickets after midnight for parking outlaws then good luck to them. The weather forecast wasn’t great. It wasn’t too bad at the moment and having a nice warm cafe to sit inside and drink coffee while waiting for things to get underway was a big boost. Time ticked on and I kept looking to s ee whether any other Striders had checked in. I was feeling a bit nervy as I hadn’t undertaken any sort of structured training for this race and I wasn’t sure how I was going to get on. A cold that had suddenly said Hello two days earlier was another complication. But on the whole I didn’t feel too bad. But it’s not how you feel sitting in a warm cafe drinking coffee that’s important, it’s how you feel when you’re out on your own, in the dark, miles from anywhere. The course was advertised as well marked but I’d studied it hard anyway so that I knew the checkpoints and my drop-out options. I don’t have any hangups about abandoning a race. And the more expensive the race, the fewer the hangups. I reckoned if I was going to drop out, it’d be in the first few miles. I’d know by then whether it was a bad idea, and I’d simply turn round and head back to the cafe. 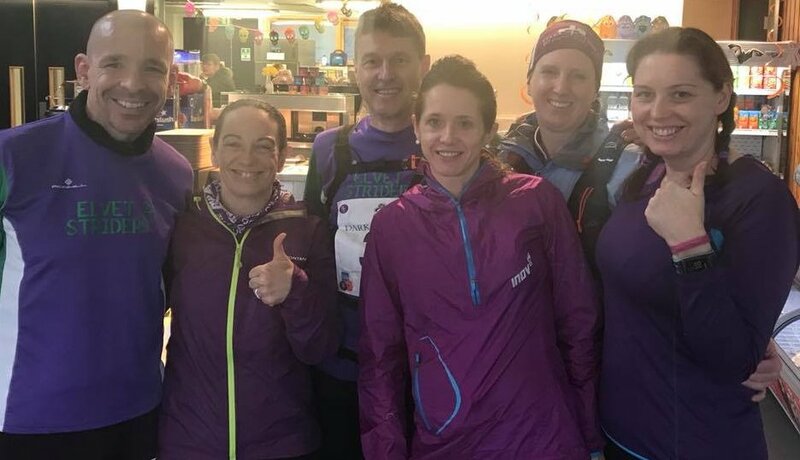 Despite having a lot of experience running a lot of weird races in all weathers I always go through a strange panicky ritual about what I’m wearing for any particular race. I look around at the other runners and often interrogate people on what they’re wearing and why. There was more purple in the cafe now and I realised I was the only one who seemed to be seriously considering wearing overtrousers from the Start. A warm wet night looked on the cards so no point in making it a boil-in-the-bag event. I’ve always wanted to race at night and as we went outside for the race briefing I began to feel more upbeat. It was still light, and still dry, so the head torches wouldn’t be needed for another hour or two. I wondered where to keep my head torch until then, and eventually decided that I might as well keep it on my head. This curiously enough was not the favoured option. Most runners kept their headtorches hidden away but I reasoned I had to carry the thing anyway, so I might as well carry it somewhere handy. The great thing about Ultras is that the starts are usually quite civilised. There’s no elbowing to get to the front as there’s no point going off as if you were doing a 5k. We’d be out for hours. Looking around at the briefing I reckoned there were only about 30 of us so it promised to be quite a small, cosy, and probably quite lonely field. A few of us were disconcerted to hear that there would a strict cut-off around the 6 mile mark. The other side of a remote bog that, given the recent rain, was likely to be on the very boggy side of boggy. I’m not keen on strict cut-offs, especially in the early stages of a race. It can take me a few hours to feel like I’m warmed up and an early cut-off can be a bit of stress that I can do without. We left the warm of the Kirroughtree Visitor Centre and for the first few miles surfaces were good. Then up and onto the moor and east under the shadow of the wonderfully named Door of Cairnsmore. The sun was dipping and the sky was dry, treating us to an eerily tranquil scene as we trudged, walked and occasionally jogged into the fading light. I was with Kerry & Co. settled in front of the sweeper and we were checking the time nervously in case we were cutting it too fine. The warning about the strict cut-off had spooked us a little and we would all feel a bit happier when that first checkpoint was ticked. The path, such as it was, dipped down and I jogged on a bit to join up with Catherine and Gareth before presently we came to a raging burn that probably only a day or two earlier was a pathetic trickle. Still, it was a raging burn today, and as it was today we were wishing to be on the other side of it, its ragingness was a bit of a pain. We all took our chances on various wobbly crossing points that all turned out to be deeper and faster than they pretended to be. Down from the moor and into the forest and good paths. First checkpoint ticked off, and for the first time since the race started we were on decent runnable tracks. 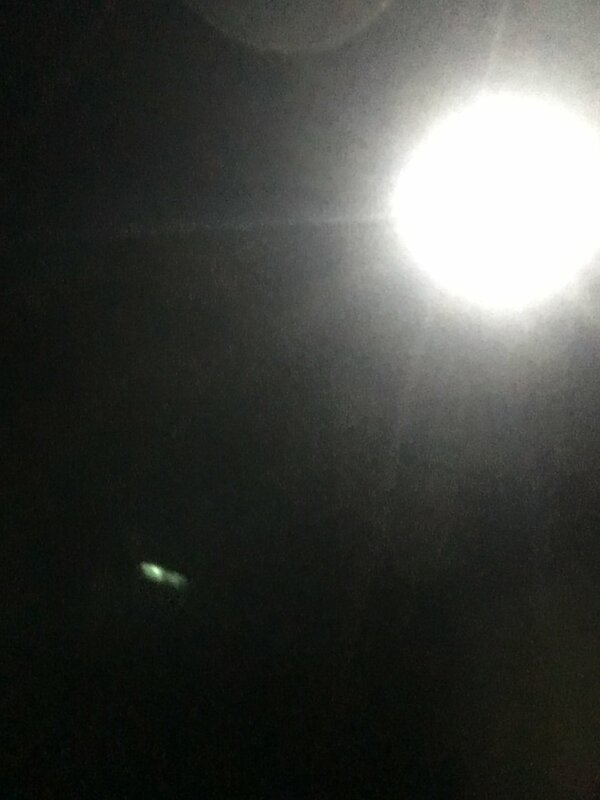 I switched on my head-torch and started running. What I like about Ultras, and of getting more experienced at running Ultras, is that you get better and better and knowing your pace. You need to settle into a pace that you feel like you could run all day (or night), then you can switch off and step inside your head and listen to some music or recite poetry or write race reports or something. Monteleone by Mark Knopfler usually jumps uninvited into my head during long runs, and stays there for hours. Generally that works out ok as it’s a good tune with a nice gentle running cadence that suits me, but I’m dreading the day that I stop liking it and it won’t go away. Another thing I’ve learned about ultras is the importance of walking. It’s a discipline I’d practised for Comrades and it has now become second nature. Walk the hills, and run the flats and downs. It’s tempting to run the ascents especially if you feel the gas is in the tank to do so, but it’s far more important to conserve that energy for later on when it’ll be far more useful. The second checkpoint came along pretty quickly and we turned north. The section towards Clatteringshaws Loch had lots of long steady climbs on good forest tracks and I settled into a comfortable, hard walking pace. I’d been on my own for an hour or two now and occasionally I would look around for other lights. At one point I became aware of a headtorch or two that seemed to close on me quite rapidly before fading again, and eventually I reasoned that it must have been mountain bikes as the lights seemed quite low and the speeds erratic. Then they disappeared altogether even though we hadn’t passed any junctions. Perhaps I was just going mad. This was the first time I’d used my headtorch in anger in a race at night. It’s a Petzl Nao and generally I’ve found it to be the canine’s nadgers. I was unsure how long the battery would last though. About 6 hours according to the manual, but I brought a spare battery pack just in case. And a spare headtorch, to use so I could see what I was doing when I had to change the battery pack. The Nao is a reactive headtorch that senses and auto-adjusts depending on where it’s pointing, what it’s seeing, and how much light it feels like giving you. So I could look far up the road and it would easily pick out the high-viz course markers that were now so familiar to me. 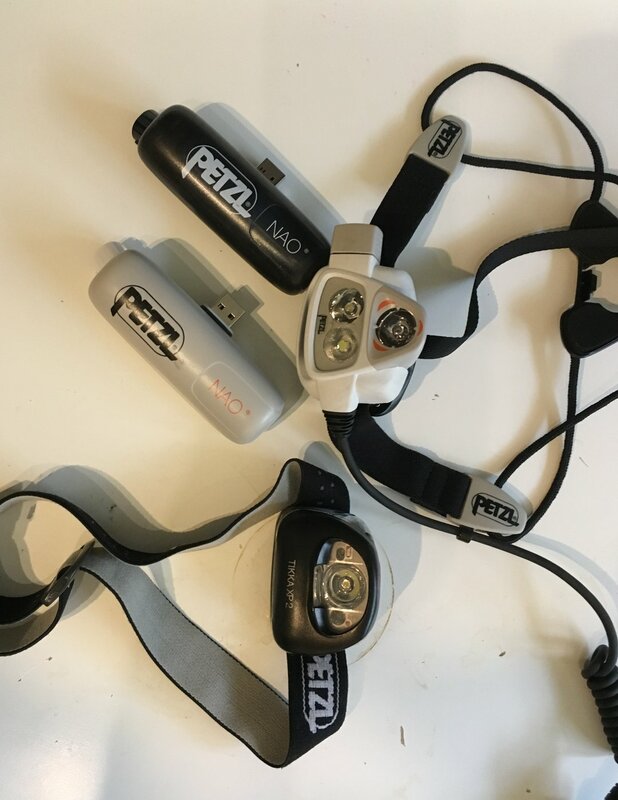 Still, the light that burns twice as bright burns half as long, and my Petzl Nao was burning very very brightly. After just two hours of use and as I approached the Clatteringshaws checkpoint, it started doing the flashy flashy thing to tell me it had had enough. This was a little alarming I thought, as I changed the battery pack. Not even close to what the manual suggested I should expect. And I definitely had it on the auto reactive setting rather on full afterburner. Assuming I got the same amount of light from the spare battery pack then I should expect to be plunged into darkness with some distance to go to the finish. I decided to worry about that if it happened. Perhaps the spare battery would be better than the main battery. Or perhaps I would be a lot faster from now on. As I left the Clatteringshaws CP the marshalls warned me that after a few hundred yards the course turned right away from the main A712. Sure enough, this is exactly what happened, but you had to keep an eye out for the flags otherwise it’d be quite easy to settle on the main road and miss out on all the wonderful wetness of the higher Old Edinburgh Road. I was pretty settled now having found my pace and was really enjoying the run. The fact that it wasn’t cold made a big difference. Even the frequent rainy squalls were quite surreal as I zipped up my hood, and looked ahead along the bright cone of light from my Petzl. 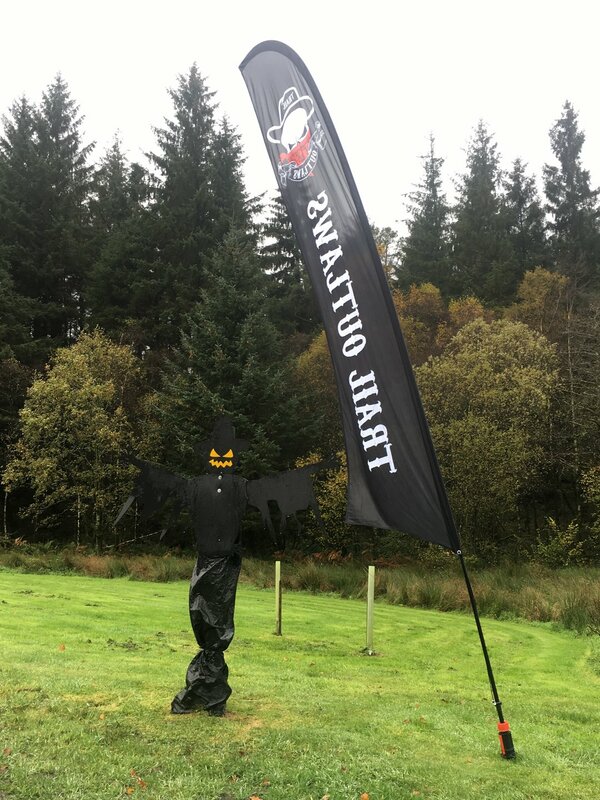 There was some pretty varied terrain for the next few miles; flooded rocky paths, mud, bracken, paths and tracks, and all the time you had to concentrate, peering ahead picking out the high-viz flags like the welcome cats-eyes on a quiet country road. We’d been warned that one of the checkpoints would involve wading across a fast-moving burn hanging onto a tree trunk for support while reaching out for the beckoning hand of a marshall leaning out to grab runners. So I couldn’t say I wasn’t warned when I found myself up to my knees in a torrent of water, hanging onto a nice bit of Sitka Spruce (deceased), and reaching out hopefully for the guiding hand of a marshall as I eased past this sting in the Grey Mare’s Tail. Things got slightly less exciting from this point on, although I think it may have been somewhere around here that Anna decided to go off-piste. Deciding that 29.1 was a really untidy number and something in the 30s would sound a lot better she added a few miles on. A bit like running round Palace Green a few times with an eye on the garmin, but with more trees and fewer cathedrals. I don’t know if Vicky Brown had a similar blip in the 14. I’d passed another couple of runners at the checkpoint but apart from them I hadn’t seen many runners on my travels. After the bumpy and quirky section along the Old Edinburgh Road from Clatteringshaws the route settled down onto good surfaces and more long, steady climbs on a gentle south-westerley sweep. On I contentedly ran, passing Murray’s Monument somewhere on my left, although Murray and myself were both blissfully unaware of this. It must have been off to the left somewhere, asleep for the night in its invisibility cloak. The forest road continued to provide a good runnable surface until two bright lights appeared ahead. I assumed this was a checkpoint, at which point I’d swing a hard left then there’d be a couple of hairpins before heading home. I assumed that it was headlights, from a car. 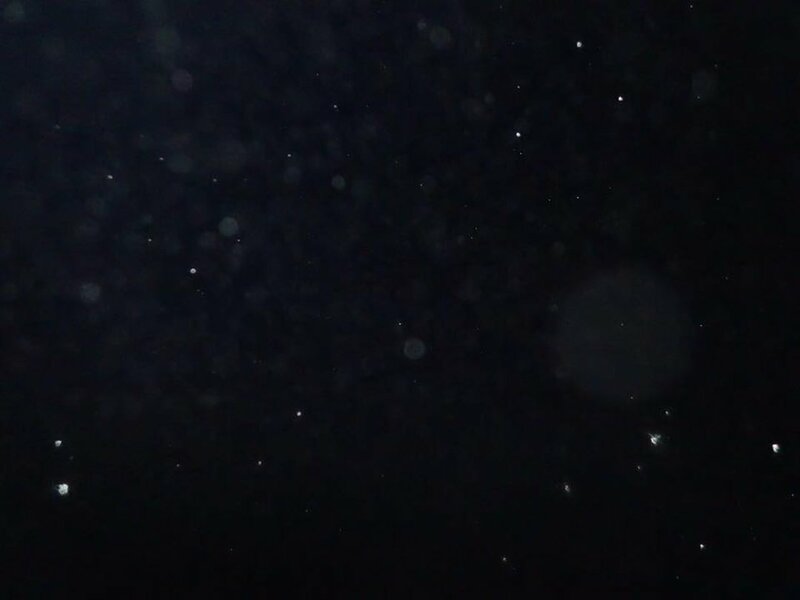 But when you’ve been out for several ours in the rain and dark, you start to assume that it’s Close Encounters, or perhaps an FBI SWAT team, you know, out here, in the remote Scottish hills. It wasn’t a check point, it was a ‘radio guy’. Doing radio stuff. Wondering how many people were still after me. I was sorry to break it to him, but I was, surprisingly for me, pretty much mid-field, so he had a bit of wait yet. I jinxed left, then right, then down to the final checkpoint on the main road. I asked how much further it was and he joked that it was another 6 miles. I was running Garmin free so was none the wiser and just shrugged. That sounded fine. 3, 6, 9 whatever. I was fine. I was enjoying the dark. I felt pleasantly lost in time, and space, and meaning. surprised to hear this as I couldn’t fault the route-marking and said so. I had a few more jelly beans, adjusted my head-torch, and when they were distracted by some radio chatter I took my leave. West along the road for a few yards then a hard left for the final few miles to the Finish. My head torch decided that was enough for the day and started flashing in alarm. I tried to switch to a sort of ‘economy’ mode, but it still flashed. It really wasn’t happy. 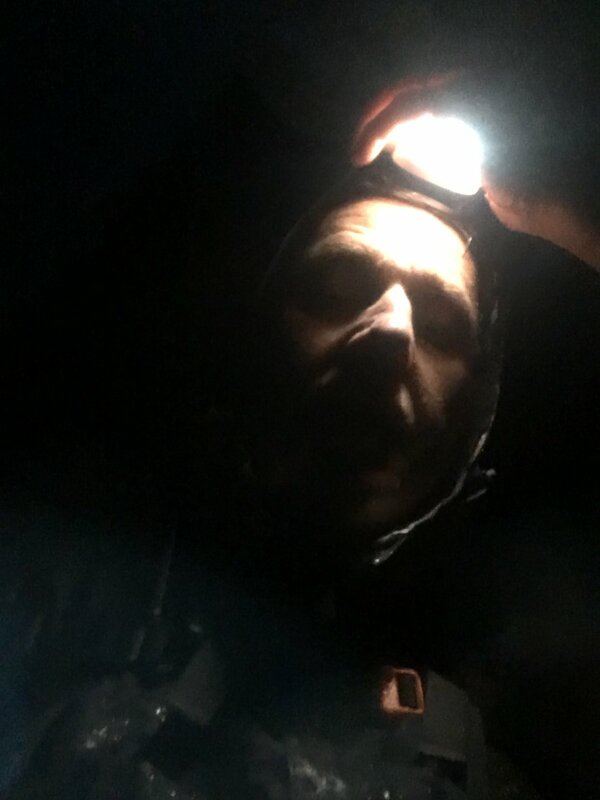 So I fished out my emergency spare head torch, the one I’d only packed so I could see what I was doing when I was changing the battery on my main one, and switched it on. The Petzl Tikka XP2 is a pretty decent head torch, but after several hours of the Nao, it was looking a bit feeble. I had to concentrate to pick out the course-marking flags and even though they were there if you looked, I began to see how it’d be possible to go for a wander if you weren’t concentrating on looking out for the flags. The last mile or two seemed very long indeed, and in the last mile, feeling slightly disoriented, I stopped to check my position to find that the finish was, indeed, just round the next corner. I jogged to the line and applause, with no idea of how long I’d been out. I soon discovered it was a fair bit longer than I’d expected or thought it to be and I was way overdue for my booked meal. Luckily for me and many other runners, Sofia from the Cafe at Kirroughtree kept things open way beyond closing time and I soon found myself sitting down having a hot meal and coffee in the warm indoors watch the cold outdoors through the glass. I couldn’t see Anna which puzzled me as she’d gone of like a rocket at the start, but I soon recognized Gareth and Catherine crossing the finish line. They were soon tucking into some supper and I began to feel uneasy about the lateness of the hour. Roberta would’ve been expecting me back at the hotel by now, and cellphone coverage at race HQ was pretty hit or miss. Luckily the cafe allowed me (very brief) access to their landline (it being the emergency contact number) to make a quick call and I felt bad when Roberta gave an alarmed Hello! as she answered the phone. Seeing a strange phone number appearing on you cellphone in the middle of the night is quite likely to make you think Something Bad has Happened. I hung around for a while more, gradually settling down to earth after nearly 7 hours out in a slightly surreal world. We had got our dark skies as it happened. For a brief time the sky had cleared and Gareth and Catherine had turned off their headtorches to watch C-beams glitter in the dark near the Tannhäuser Gate. I had wanted to wait for Kerry and Co. to finish, and I would only discover later that Anna had gone off course and would be finishing with Kerry too. But I was cold now, and while Gareth and Catherine jumped in the shower, I jumped in the car for the short drive back to the hotel. This was my first night-time race and I loved it. A small field meant that for hours on end I didn’t see another soul. The isolation was quite spooky at times but on the whole it was quite relaxing. Relaxing until the head-torch starts flashing to tell me the battery is giving up. I need to give some thought to batteries. You wouldn’t have wanted to be out in the dark skies without a light.